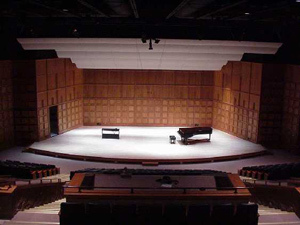 The acoustically superb Mitchell Auditorium is a premier performing arts center, hosting concerts, lectures, theater productions, and student activities. The auditorium seats 580 with accommodations for people with handicaps and hearing impairments. The Mitchell Auditorium is conveniently connected to Tower Hall. Monday thru Friday 9 a.m. to 3 p.m.